entertain and educate kids and adults alike with soap carving. Since 1978, the Ontario Wood Carvers Association has been promoting, educating and connecting woodcarvers in Ontario. Let us introduce you to other carvers and help you build your skills. Join with us as we carve legacy projects, like the Maple Leaf Forever tree. 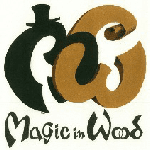 We invite you to support the woodcarving community through our volunteer youth outreach program, and take part in Magic in Wood, our annual exhibition and show.